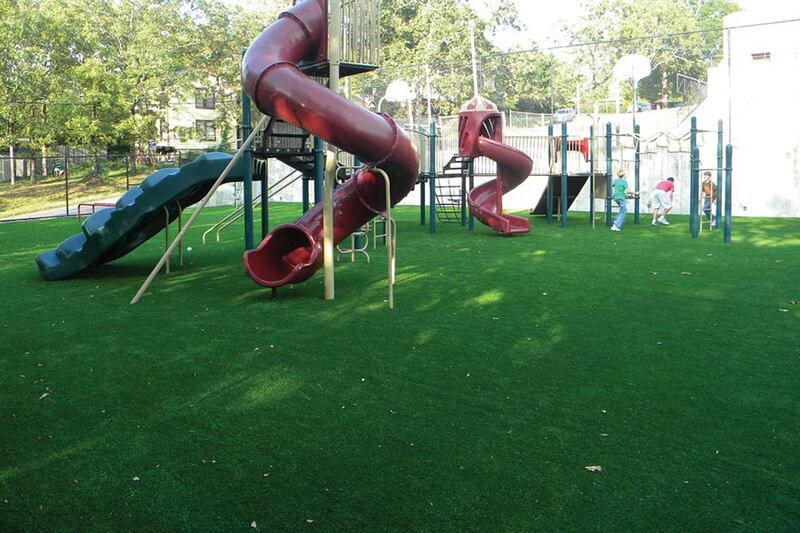 Including Central and Downtown Austin, The Park at Deerfield, Oak Hollow Park, Gardens at Brookhollow, Oak Meadow, Scattered Oaks, North Central Thousand Oaks, Ridge at Deerfield, Castle Hills Forest, North Central Heritage, Fieldstone, Prospect Hill, Highland Hills, Vance Jackson, South Southwest, Dellview, Great Northwest, Highland Park, Heritage, Palm Heights, Stone Oak and the entire surrounding area. 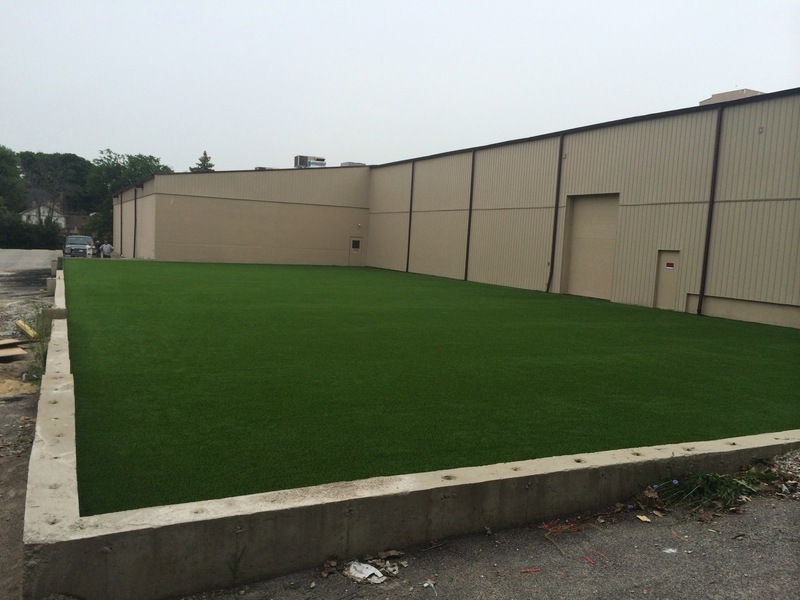 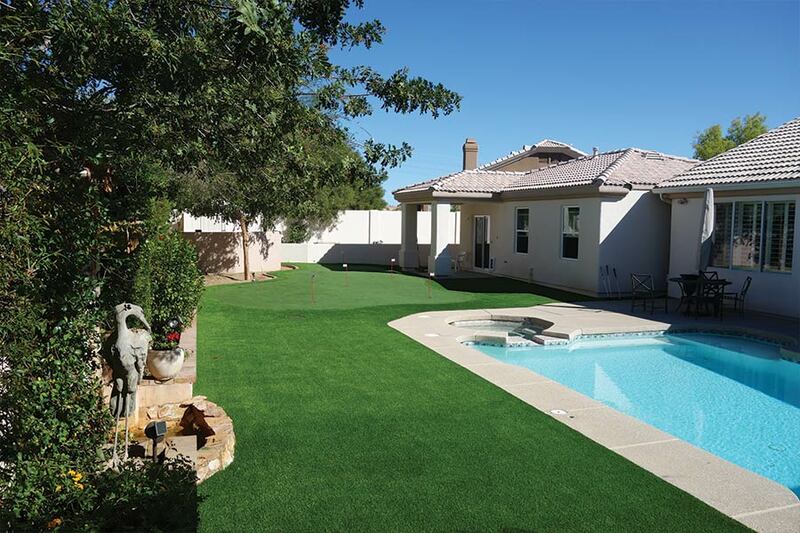 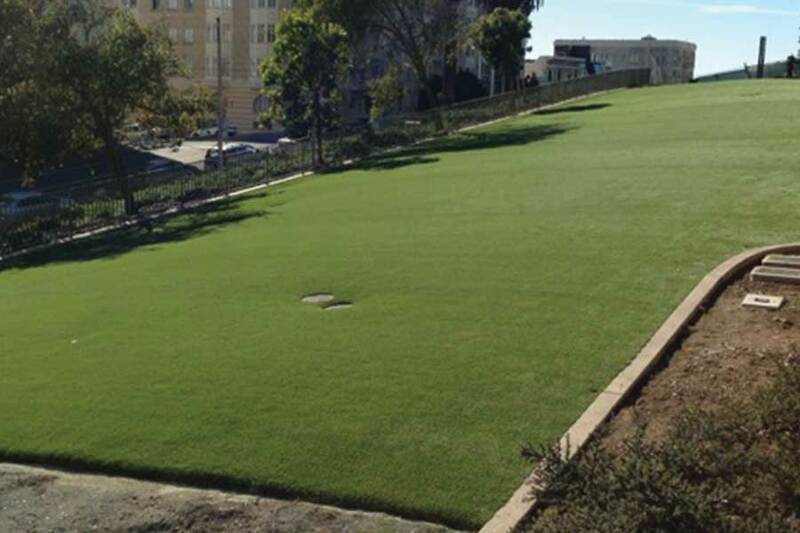 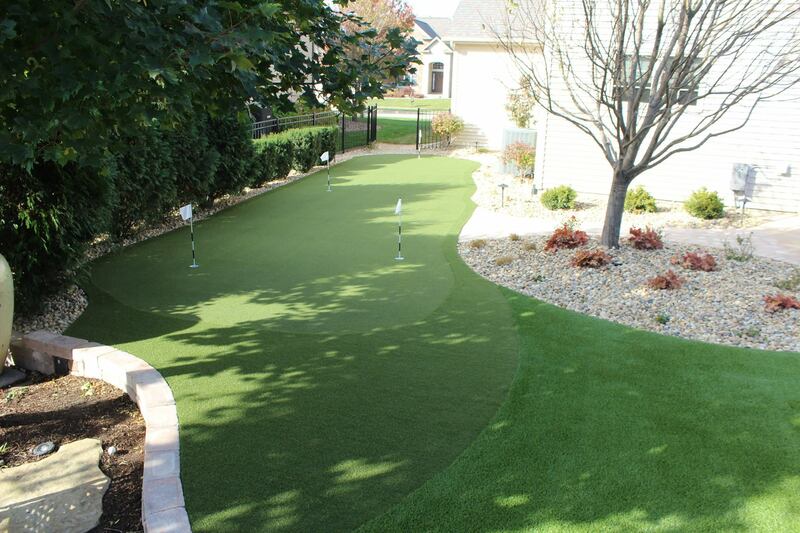 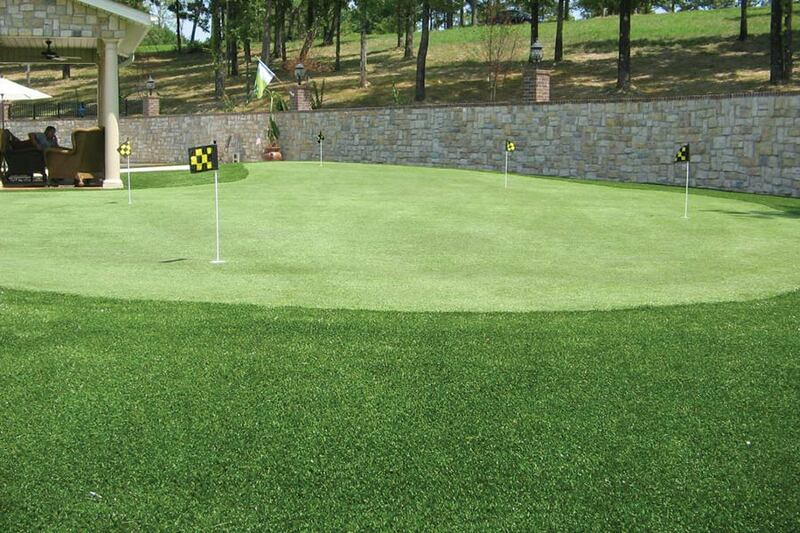 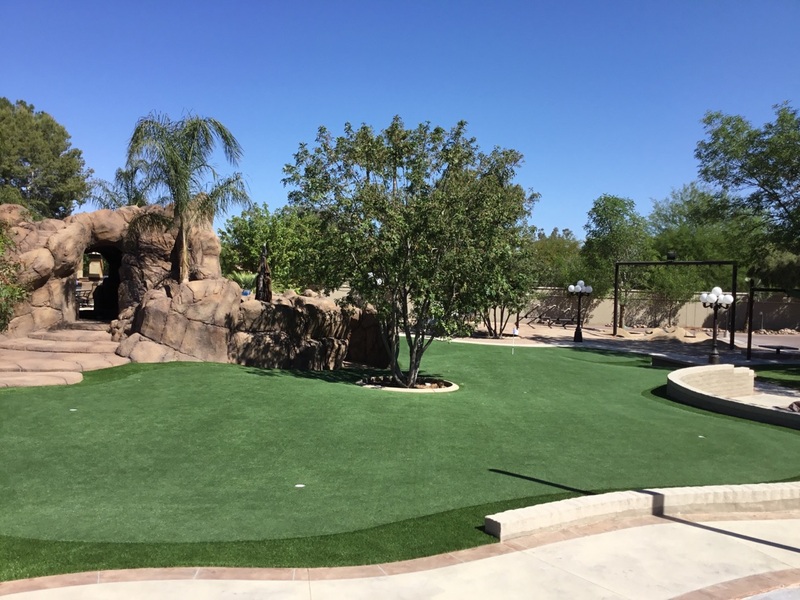 Our team of putting green installers and artificial grass experts have installed acres upon acres of artificial grass golf greens and lawns in San Antonio. 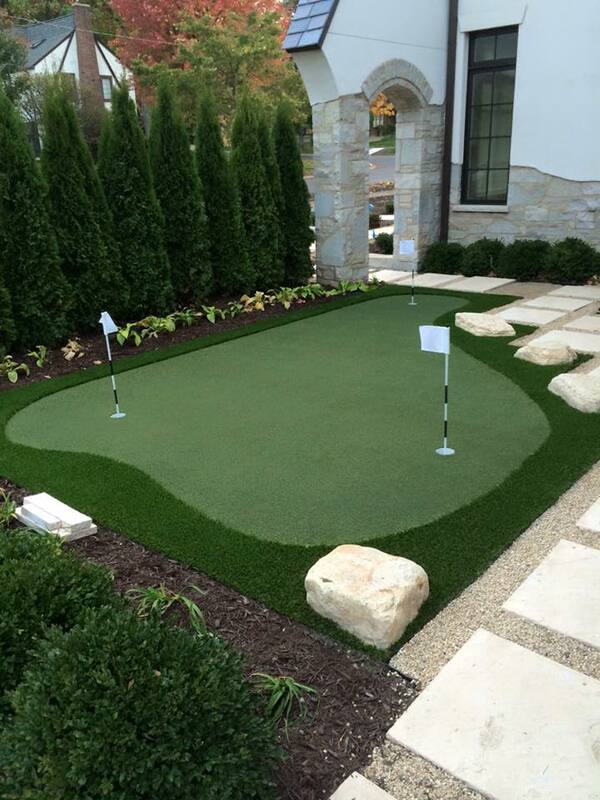 Additionally, we’ve worked with some of the top PGA pros on tour. 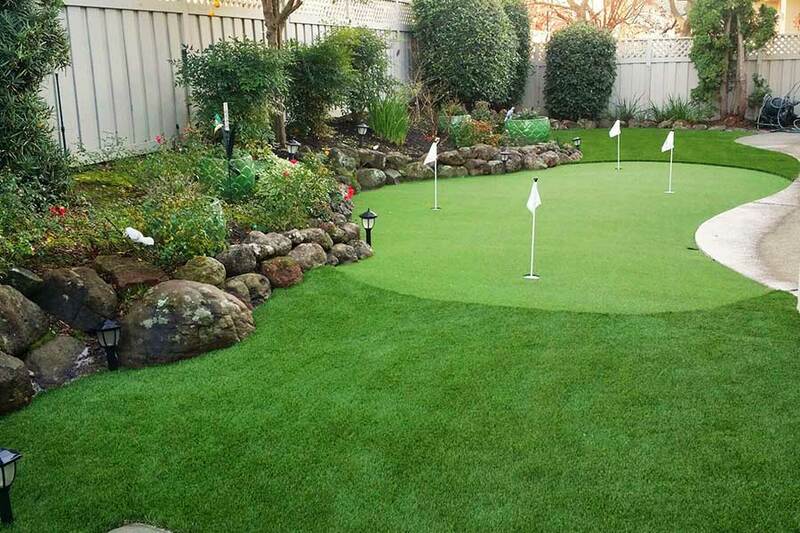 When you hire Celebrity Greens to install an artificial grass putting green, you’re getting the best, most experienced team you can get anywhere. 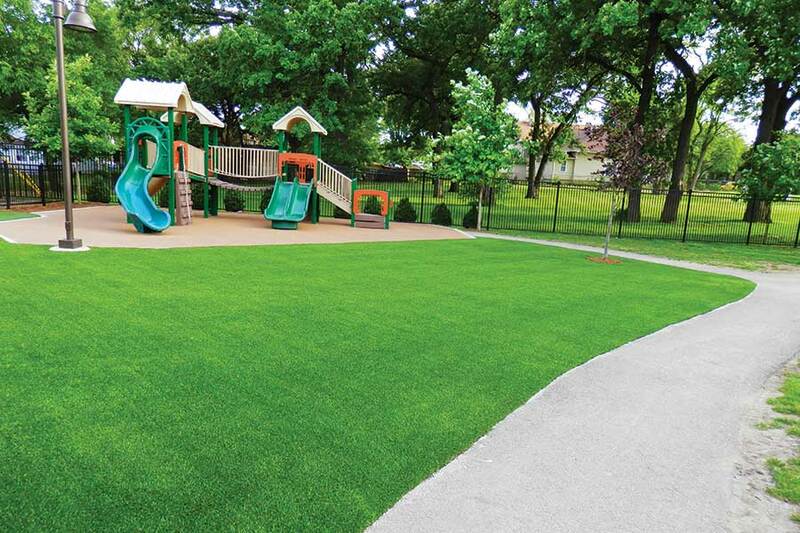 Celebrity Greens of San Antonio, TX has developed a solid reputation for quality landscaping with artificial turf and we’ve become a recognized leader in the field. 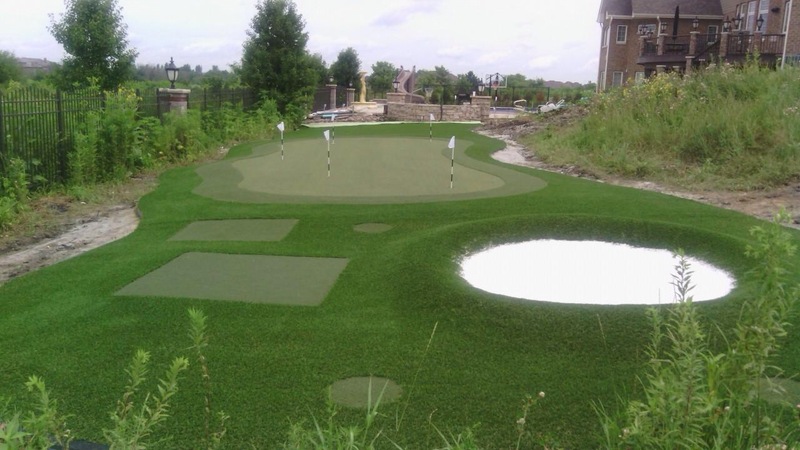 Celebrity Greens has designed and installed synthetic putting greens for some of the top PGA pros around the globe. 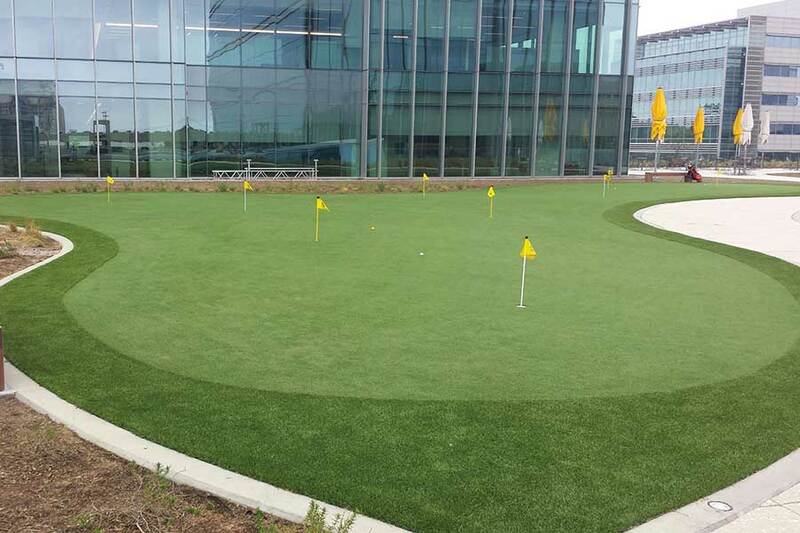 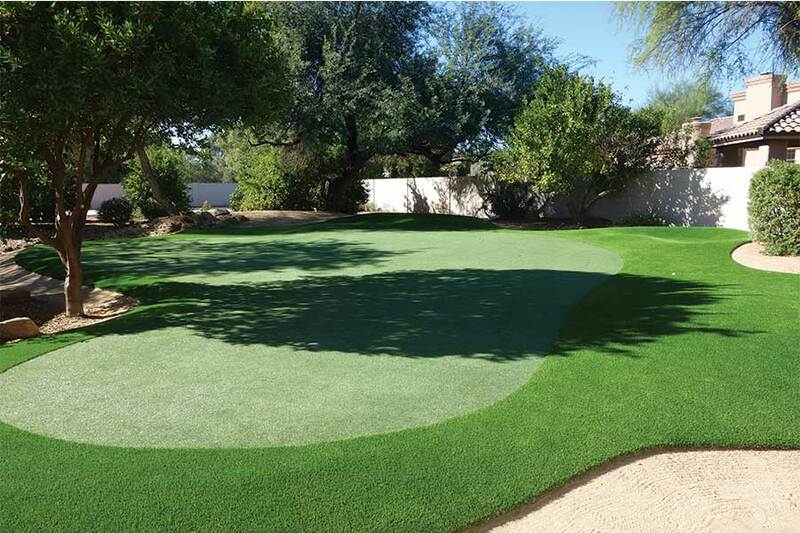 Professionals and executives across the golfing industry have chosen our team of experienced golf green designers and installers when they want a putting green that will give them the performance of real grass, without the tedious and costly maintenance. 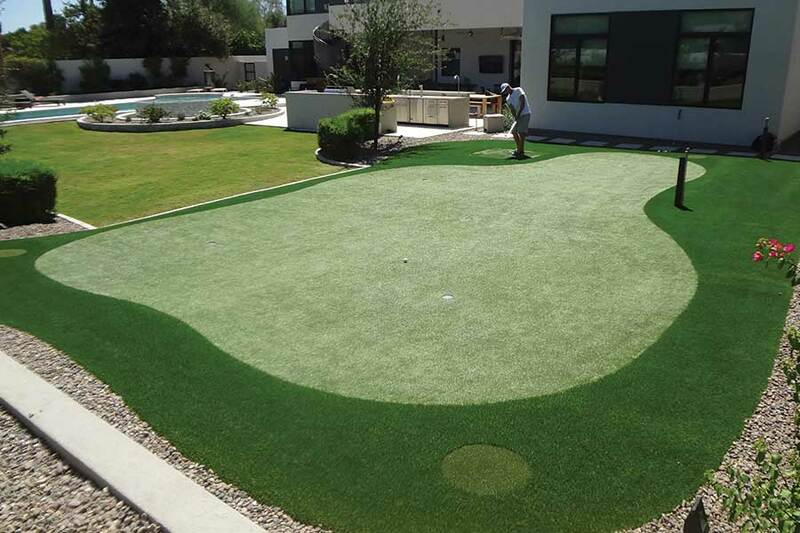 Celebrity Greens® San Antonio only selects premium synthetic turf in our putting greens and artificial lawn installations. 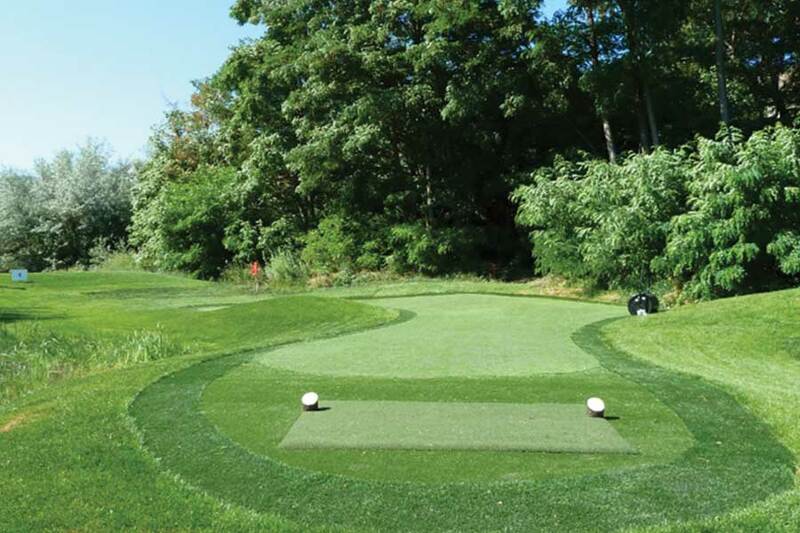 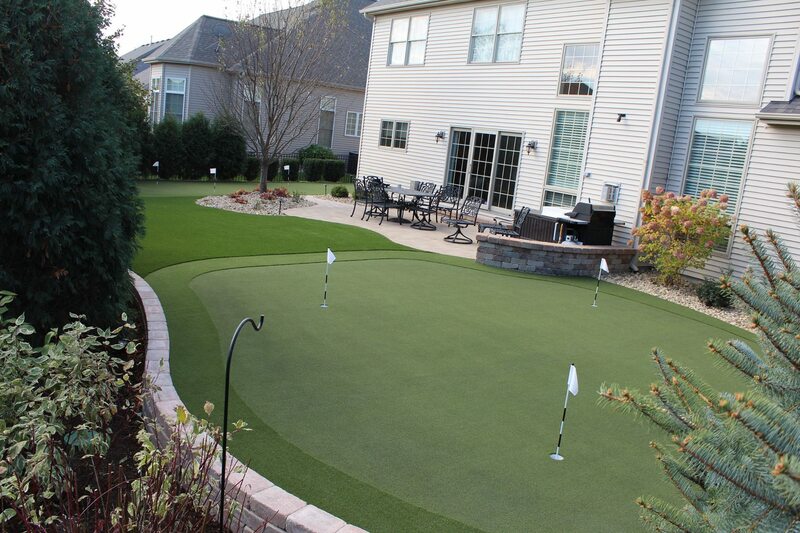 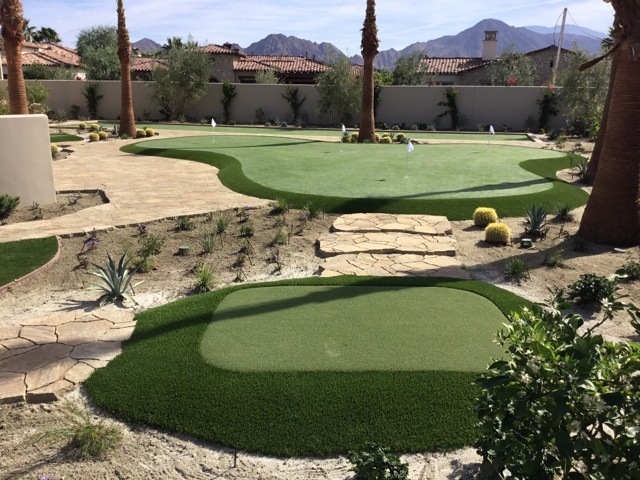 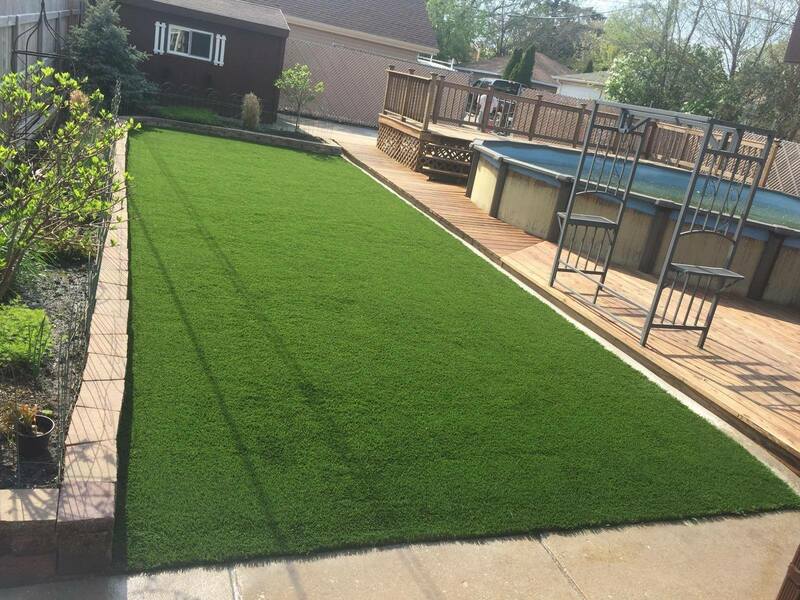 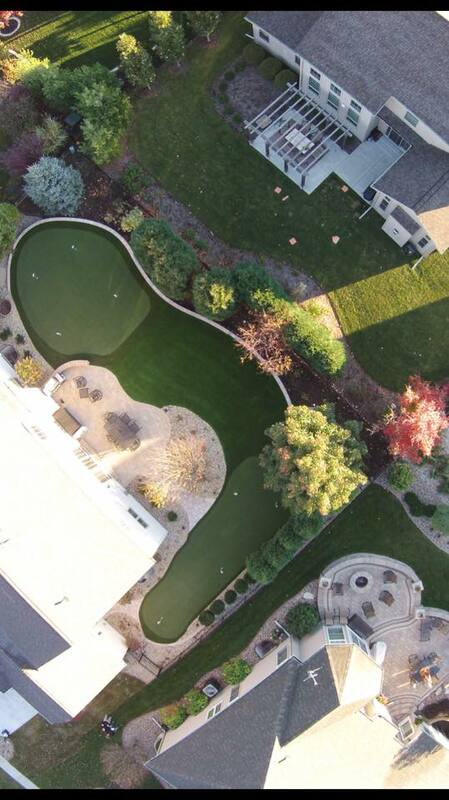 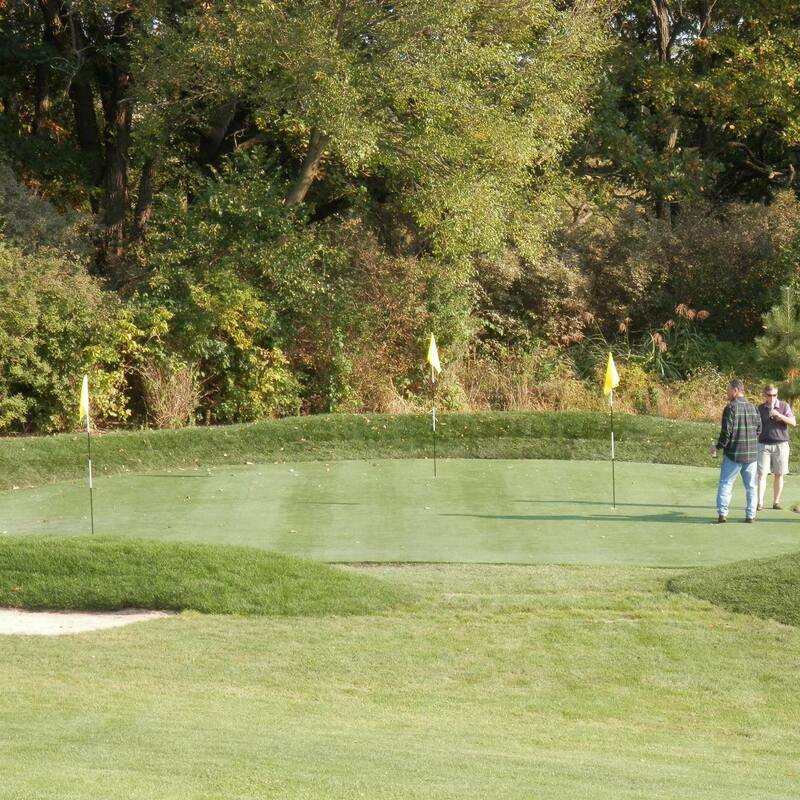 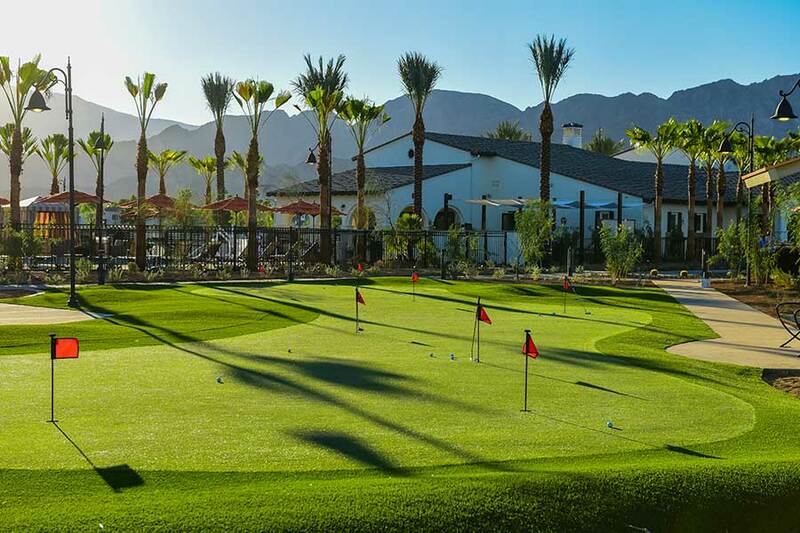 We use our own, Celebrity Greens developed, state-of-the-art design and construction techniques to create our signature synthetic grass installations. 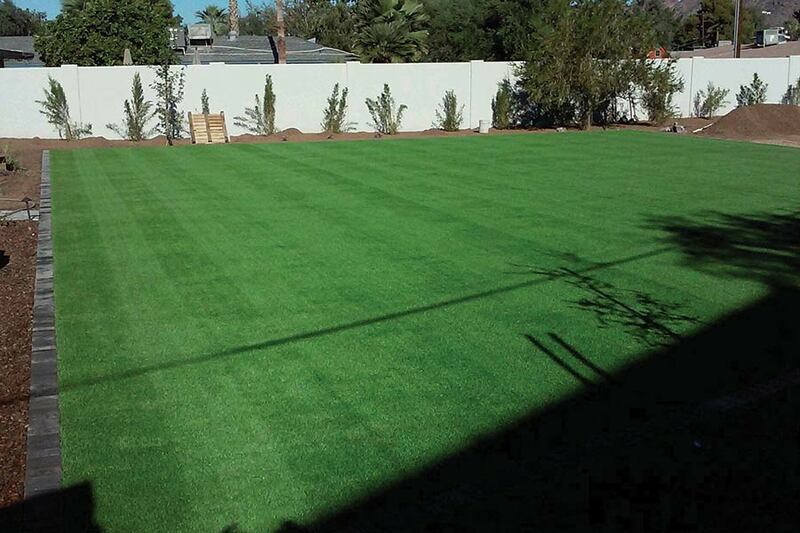 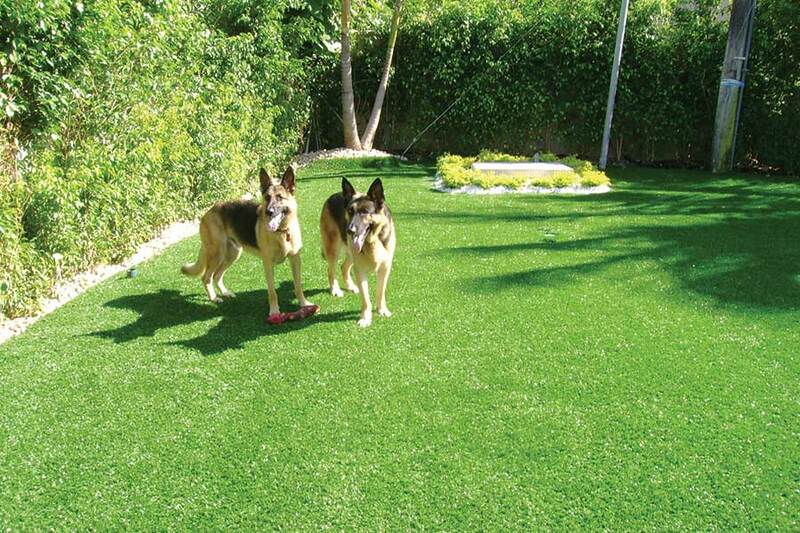 Celebrity Greens® San Antonio synthetic turf lawns never need to be watered, mowed or fertilized. 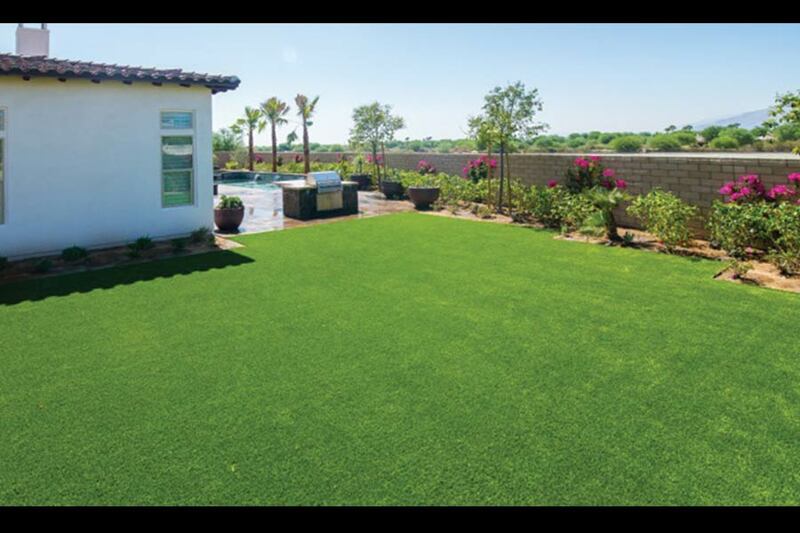 Having our experts install one on your property will save you thousands of dollars and hours in maintenance! 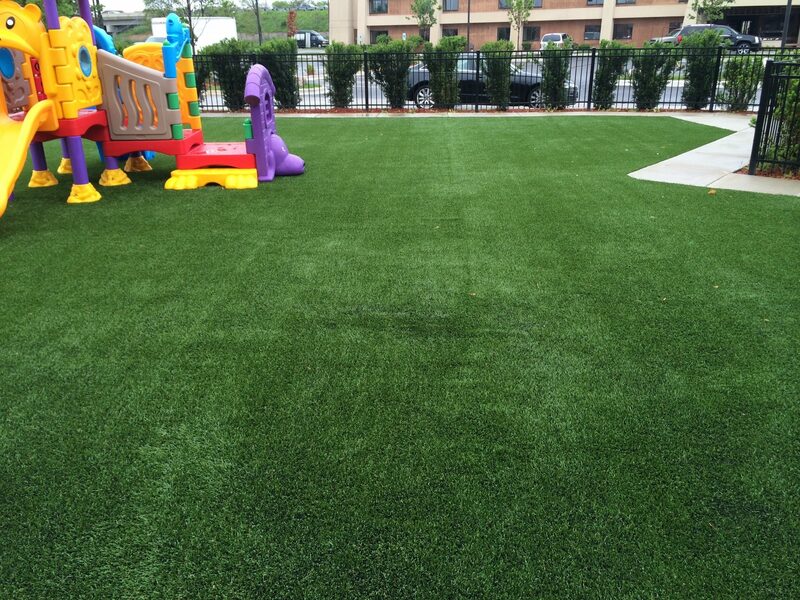 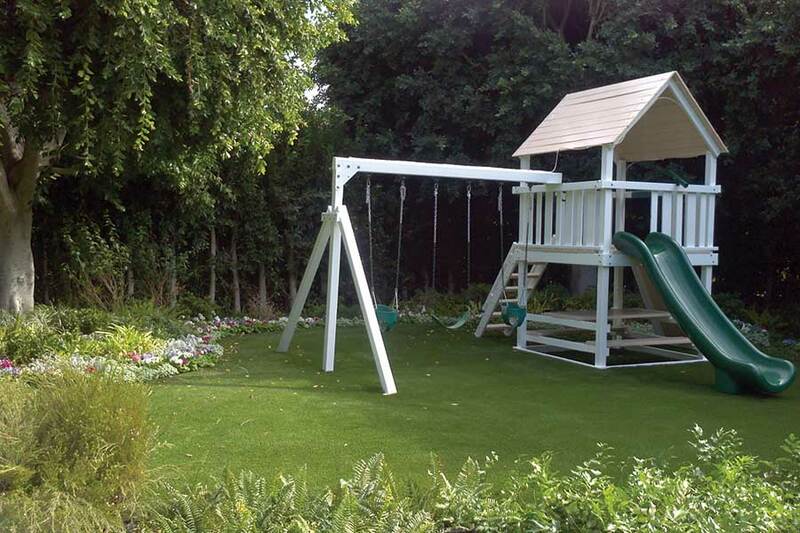 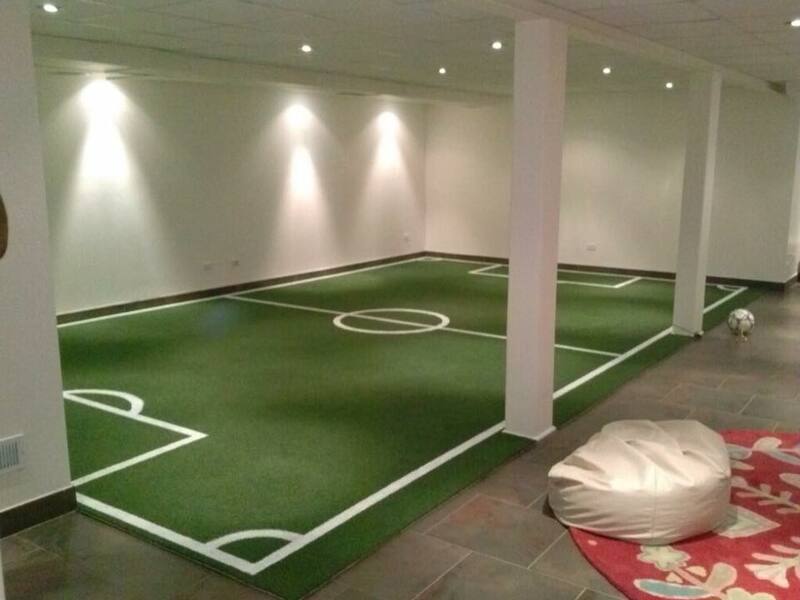 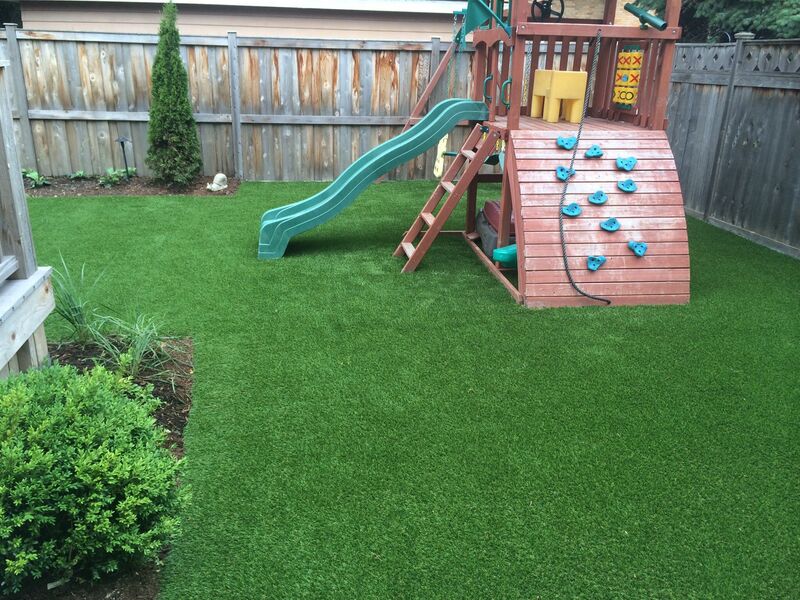 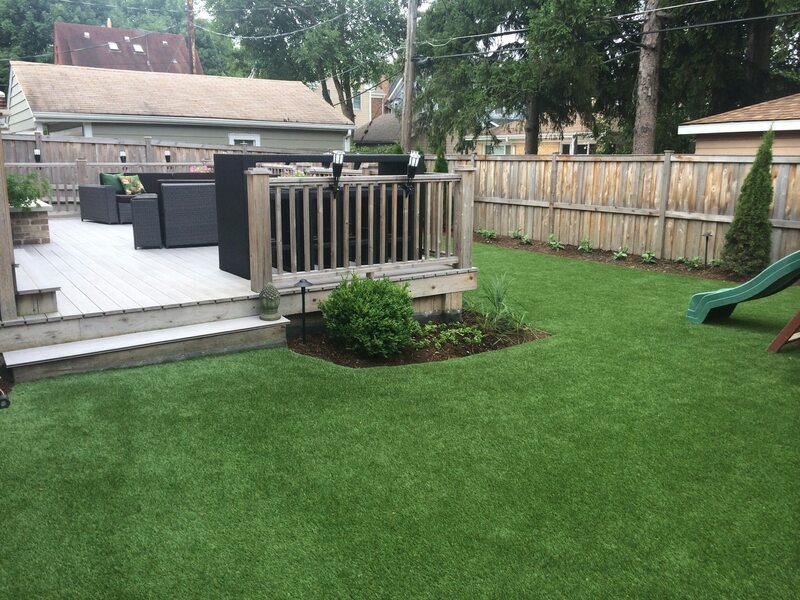 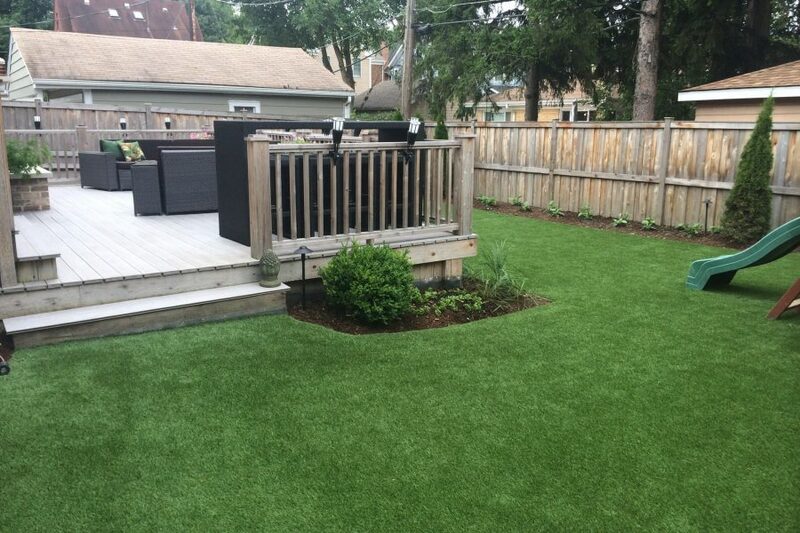 Our artificial grass product doesn’t shine so it really does look like real grass. 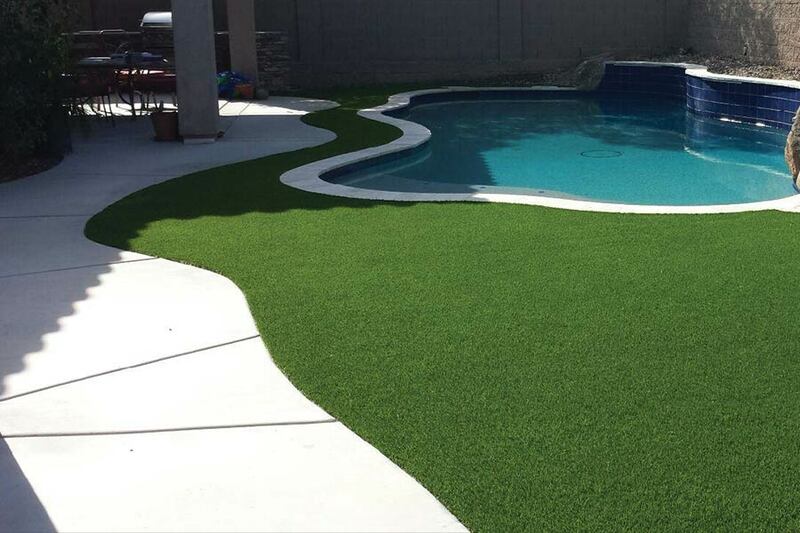 It is extremely durable and is designed to look great year long in hot, cold, wet and dry climates.